Asda has handed both its creative and media accounts, worth an estimated £95 million, to Publicis Groupe agencies without a pitch in a dramatic move. Saatchi & Saatchi, which already handles creative for Asda's US parent company Walmart in New York, has won the creative from VCCP, which has had the account since 2013. Blue 449 has snatched the media from Carat, which has held the account for over two decades. Asda’s decision to turn to Publicis Groupe follows the recent appointment of a new chief marketing officer, Andy Murray, from Walmart, and it is thought the agency review has happened in the space of only a few weeks. The supermarket group is believed to be keen to change its marketing to arrest a slump in sales because of intense competition from the discounters Aldi and Lidl. It is highly unusual for a client to review creative and media simultaneously and award them to the same group, and observers said it could set a precedent as other clients look to bring creative and media closer together. The Asda win is a major coup for Publicis Groupe, which has restructured and simplified its operations into four divisions, which include Publicis Media for all its media agencies and Publicis Communications for all its creative agencies, to help clients integrate their various marketing services. Insiders claimed the internal shake-up had helped to win Asda and could herald "a return to full service" with creative and media both handled by one agency group – two decades after the ad industry split most of its agencies to handle the two disciplines separately. Publicis Groupe has been under intense pressure after losing a string of big US media accounts, including Procter & Gamble and Walmart. Blue 449, previously known as Walker Media, knows the retailer sector well as clients include Dixons Carphone and it used to handle Marks & Spencer. Saatchi & Saatchi's sister agency Fallon already looks after the creative for Asda clothing brand George in the UK. 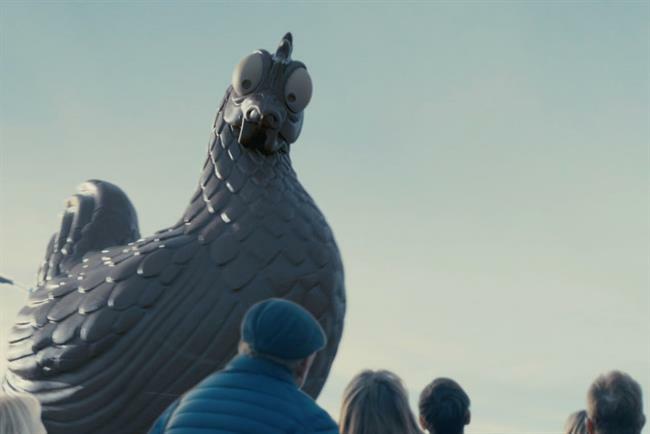 The move reunites the main Asda ad account with Publicis Groupe after a three-year break. Saatchi & Saatchi handled the business between 2009 and VCCP winning the account, Fallon from 2007 to 2009 and Publicis for the 17 years before that.